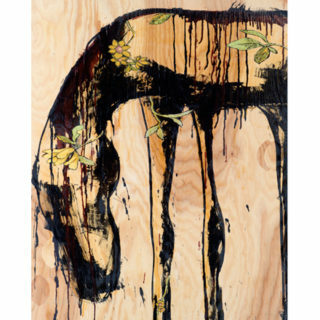 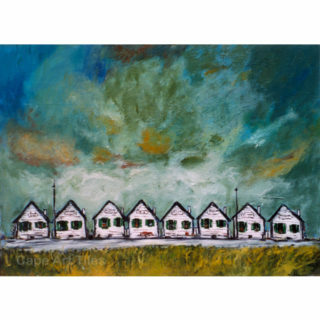 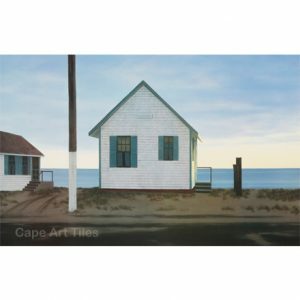 We are pleased to offer reproductions of John Dowd’s annual print. 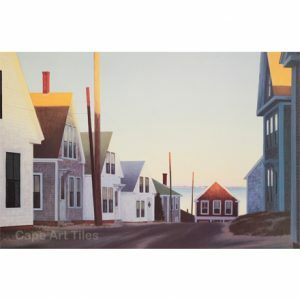 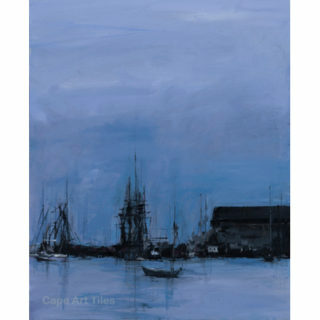 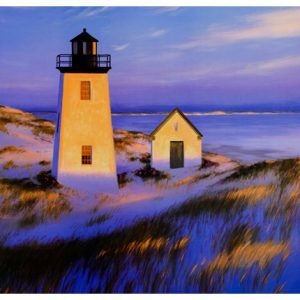 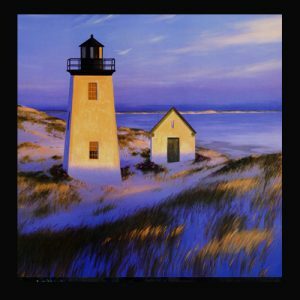 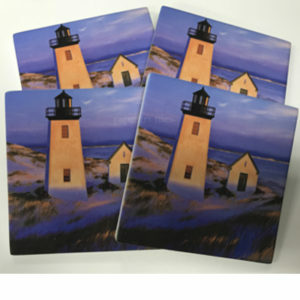 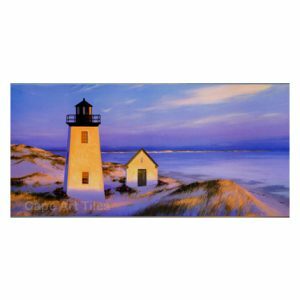 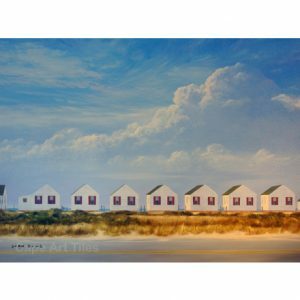 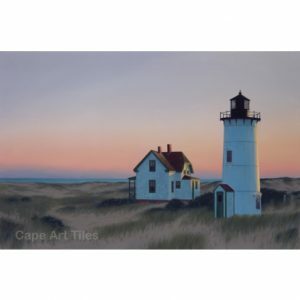 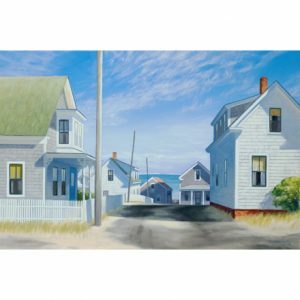 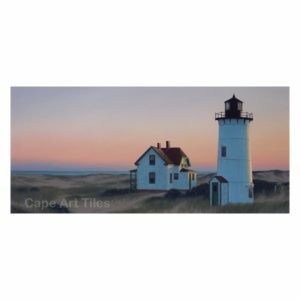 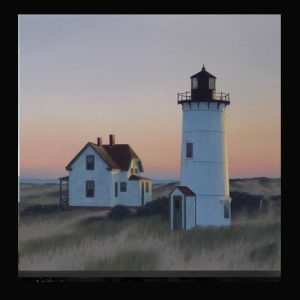 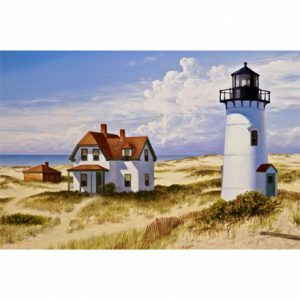 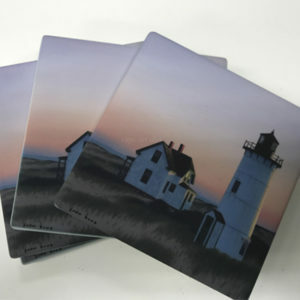 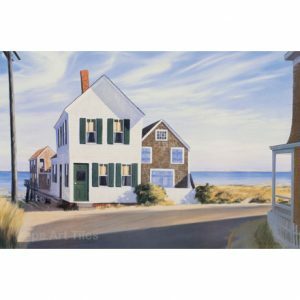 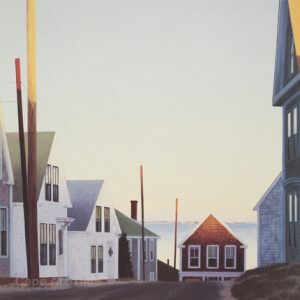 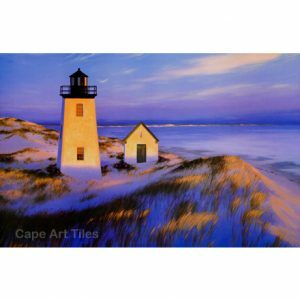 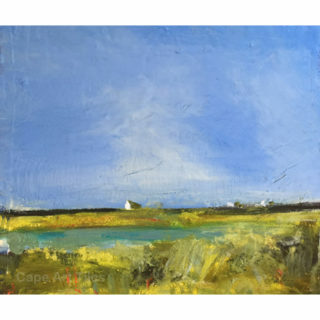 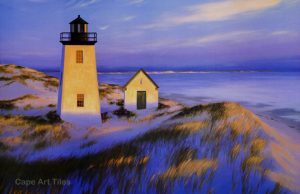 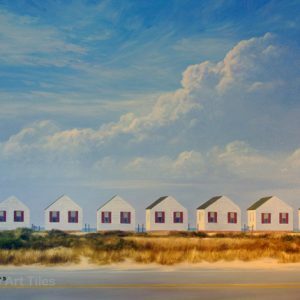 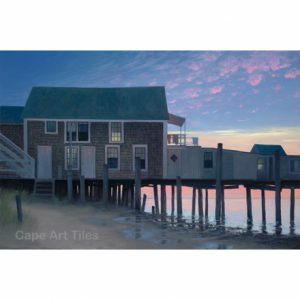 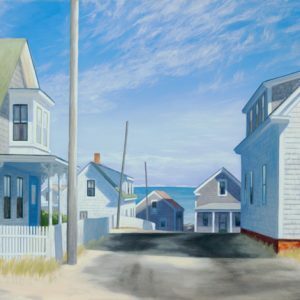 Through an exclusive agreement with the Provincetown artist, Cape Art Tiles, is offering John’s annual Provincetown image Collection on 8 x 10 porcelain tile, and 10 x 12 or 12 x16 tempered glass cutting boards. 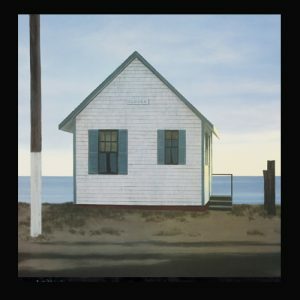 John Dowd’s work is a synthesis of his interests in the light of the Luminists, the sense of place of the American Realists, and the moodiness of the German Romantics. 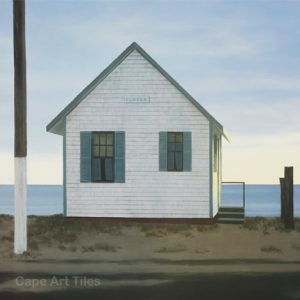 Distinguished by an absence of people, his paintings primarily depict the structural features of the landscape. 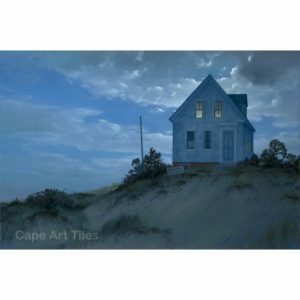 As in the works of 19th century painter Caspar David Friedrich, Dowd’s canvases project a profound sense of isolation. 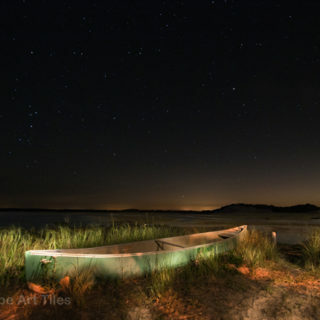 Dowd received a degree in architecture at Notre Dame and further advanced his studies in Rome. 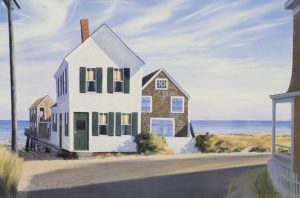 His work has been exhibited throughout the country with numerous works held in private, corporate and museum collections. 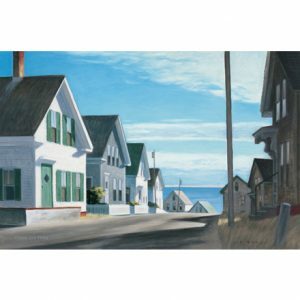 He was awarded the Altman Prize Grand Prize for Landscape from the National Academy. 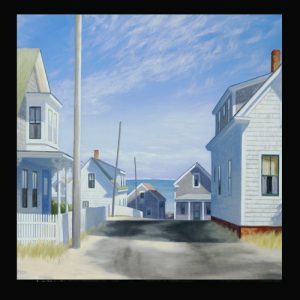 Dowd currently resides in Provincetown and New York City. 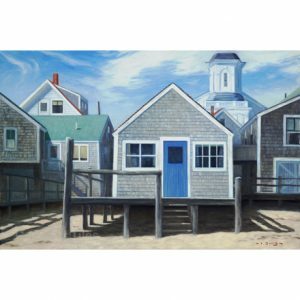 Locally, John’s work can be found at William Scott Gallery, 439 Commercial Street in Provincetown as well as in NY and Miami Galleries.